I am always very apprehensive when I pick up a biography to read, mainly because you don’t know for sure what facts are real or what has been fictionalised. 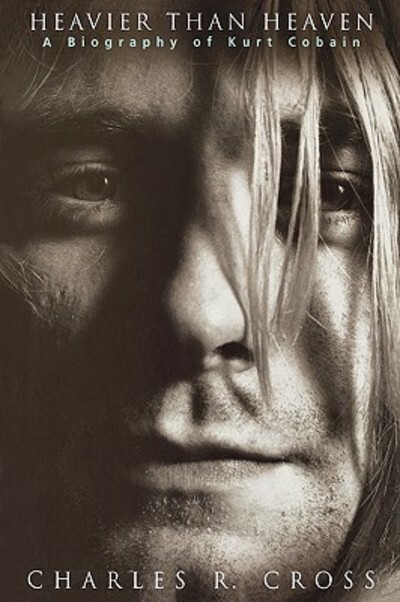 This biography however has extracts from Cobain’s diaries, notes and also the suicide letter he left. I can assure you even if you are not a Cobain fan, you will weep through parts of this book. It is etched in sadness from the beginning. Through interviews with relatives, friends and the community that knew a young Kurt Cobain, you can tell that his life was never easy, and Cobain himself was the probably his biggest tormenter. It clearly shown through the sources that we read that he fought his own inner demons hard but somehow along the way lost that fight. It is always sad when a young, talented person’s life comes to an end too soon. Although Kurt may have come across quite egotistical or arrogant in interviews or on stage, we see a different side to him in the book, as told by Courtney Love and also the insight we get from extracts from his own diaries. We don’t only see a performer, but a father, son, grandson and dear friend. For any Nirvana or Kurt Cobain fan, this book is a must read. It is as close to an interview or understanding Kurt Cobain that we are ever going to get. I can guarantee you will find it difficult to put this book down once you begin.